The trick to beating Black Knight 2000 is to not be intimidated by the Black Knight himself. He likes to talk big, but you have female backup singers and a slew of guitar solos. 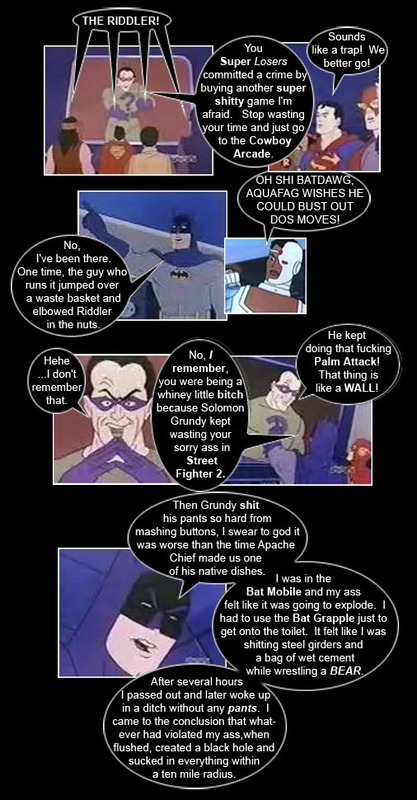 As soon as you start, he will gloat "I AM THE BLACK KNIGHT". At this key moment you have the chance to retort with your own trash talk. For example, I like to use "That's not what your mom told me last night". One time there was this Arcade here in town that had Mario Bros. 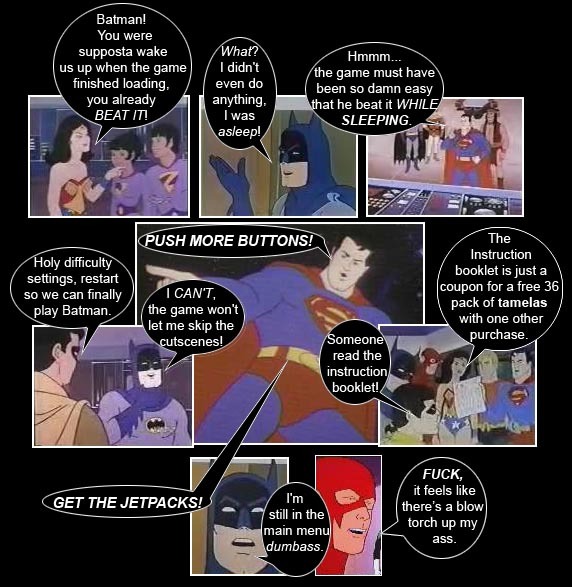 It was great until some guy put gum all over the control panel. If that had happened in my arcade, I would have jumped over something and dragon kicked that guy in the face. 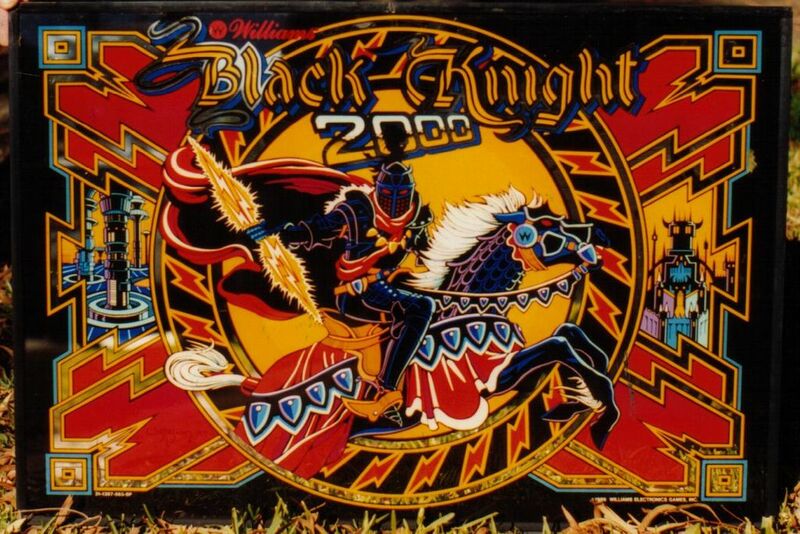 They also had Black Knight 2000 Pinball, the greatest pinball game ever created. 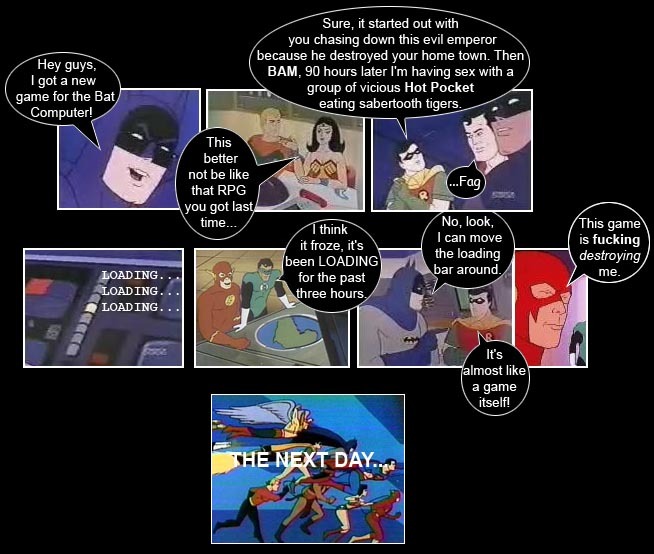 Then some other guy broke one of the sliders so the game dumped your balls into the gutter. If that had happened in my arcade, I would have jumped over a group of kindergarteners and dragon punched that guy in the face. So then I decided that I needed my own arcade, and it was called, the Cowboy Arcade. 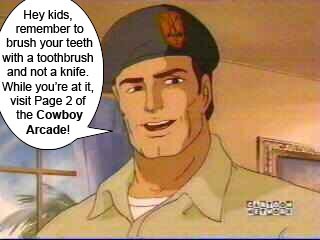 On to Page 2 of the Cowboy Arcade!